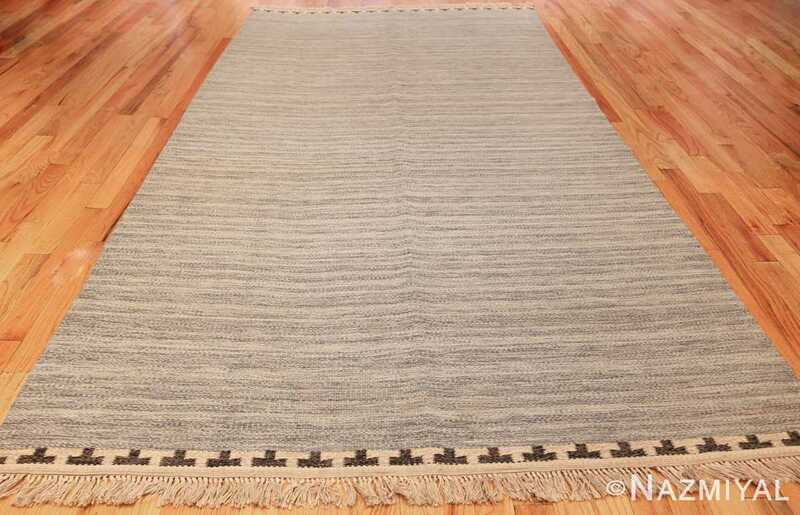 Beautiful Rakel Carlander Designed Vintage Scandinavian Swedish Kilim 49265, Country of Origin / Rug Type: Scandinavian Rug, Circa Date: Mid 20th Century – True to the style of many traditional Swedish kilim rugs, this pleasing piece, by the iconic Rakel Calander, is gentle in its use of color. 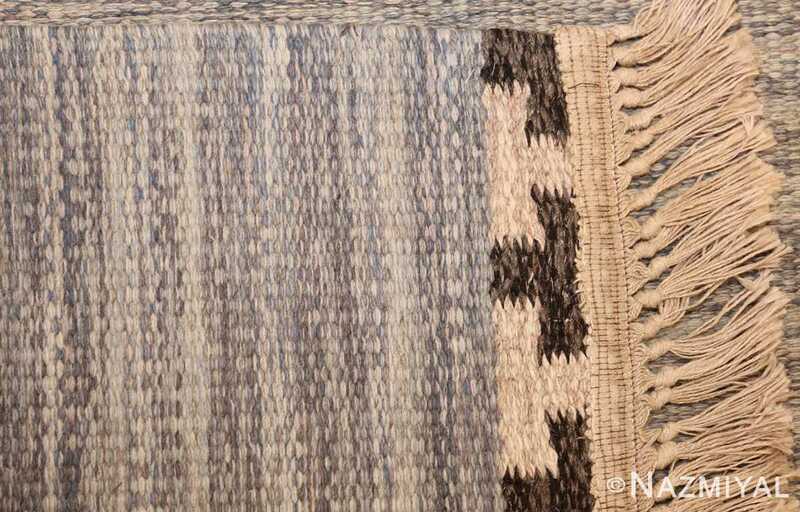 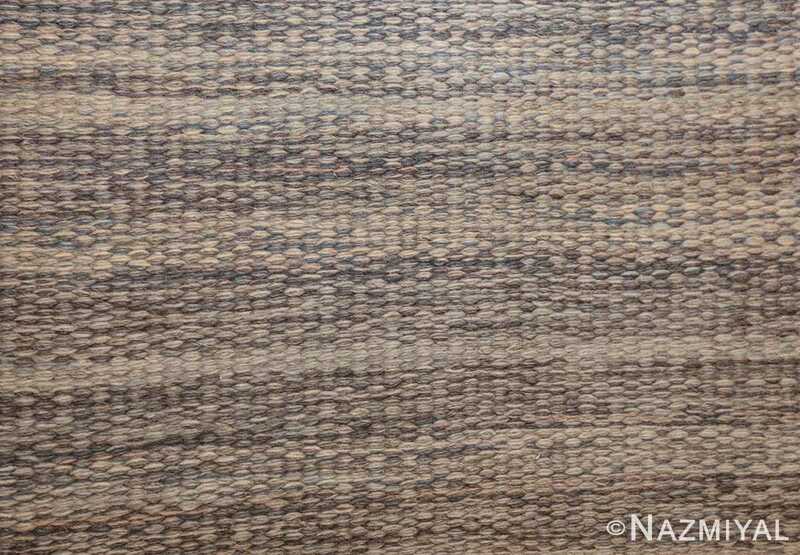 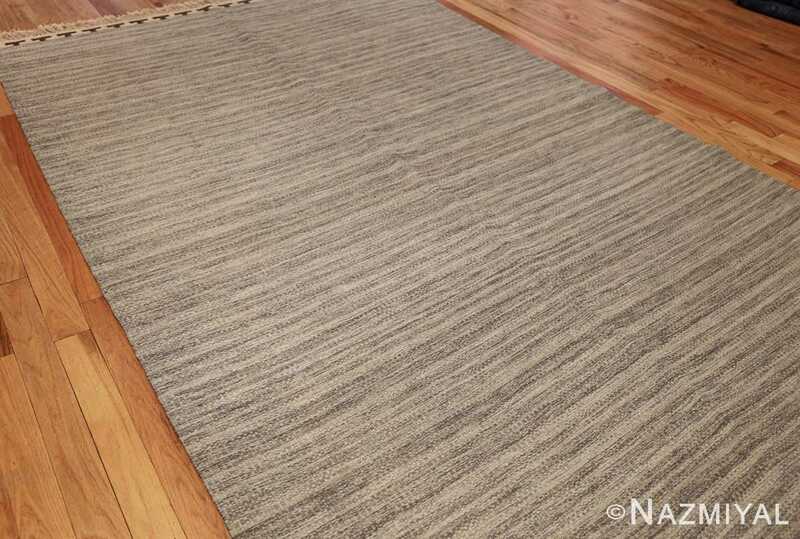 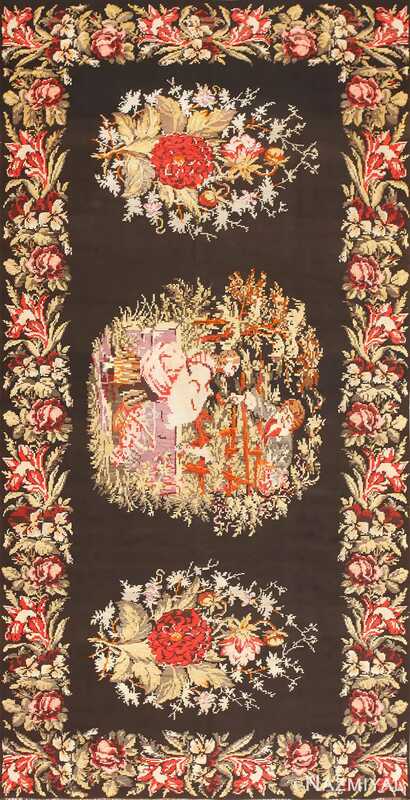 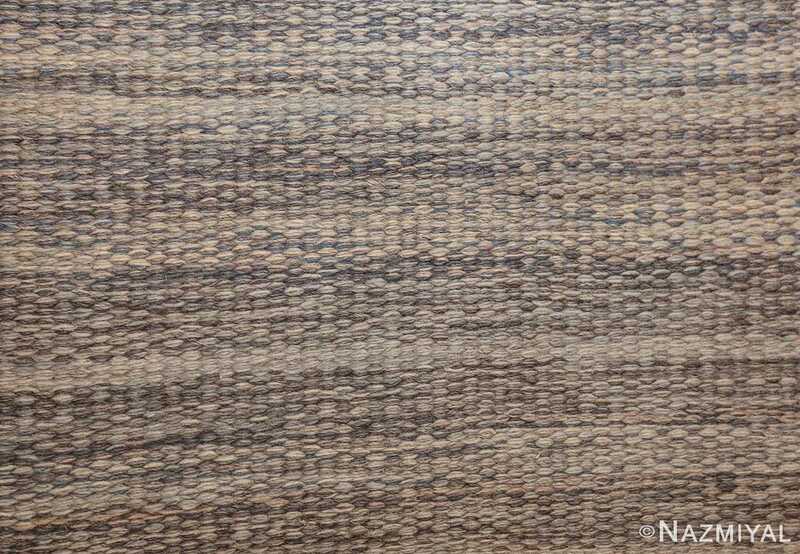 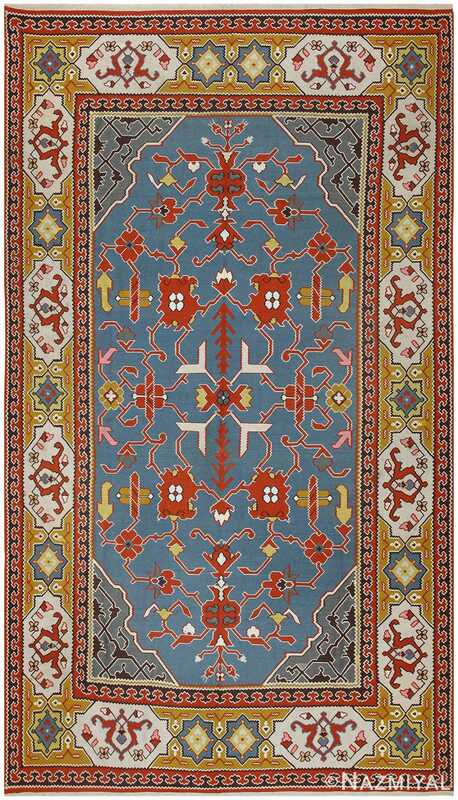 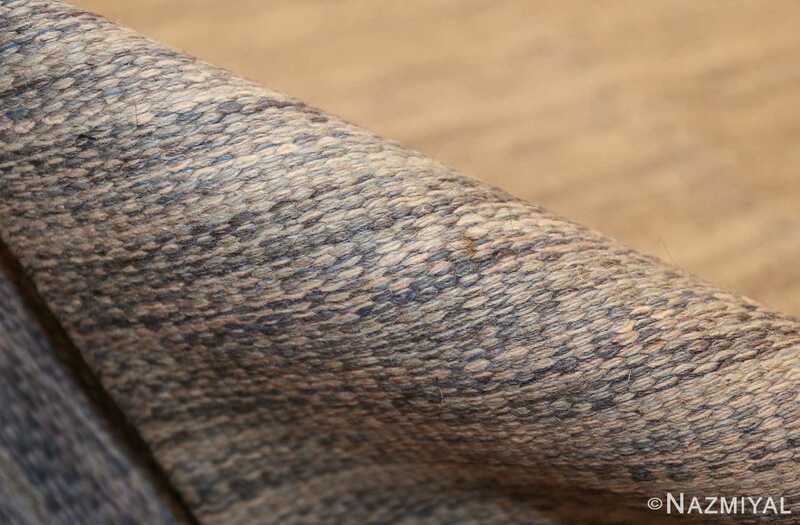 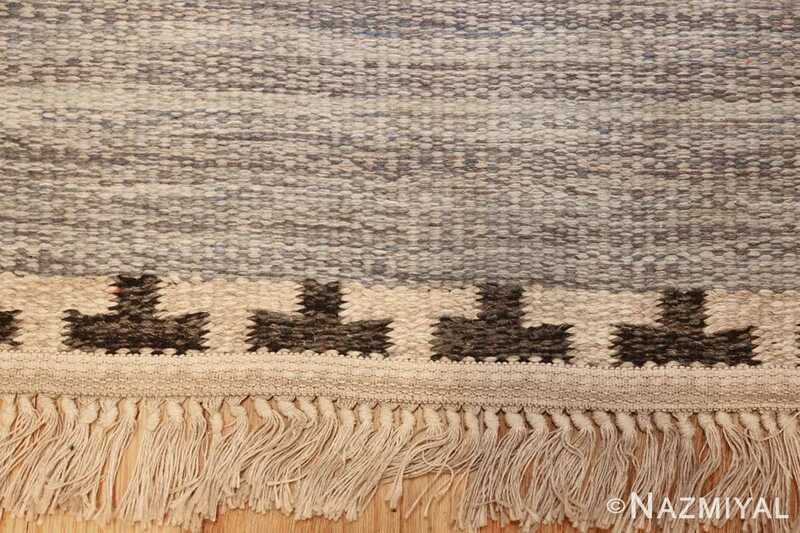 A simple border caps the top and bottom of the vintage rug, giving it a scroll-like appearance that emphasizes its length. 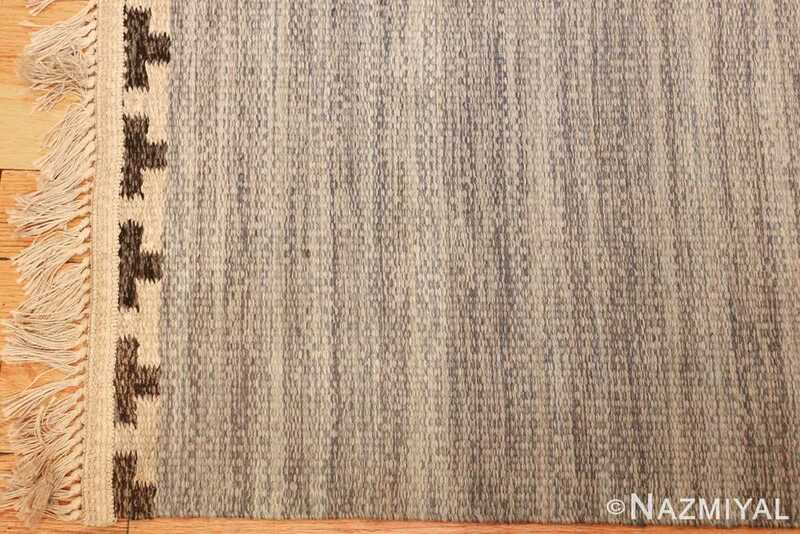 Because of the lighter and warmer use of color around the border of the Scandinavian rug, the rest of the rug stands in elegant contrast. 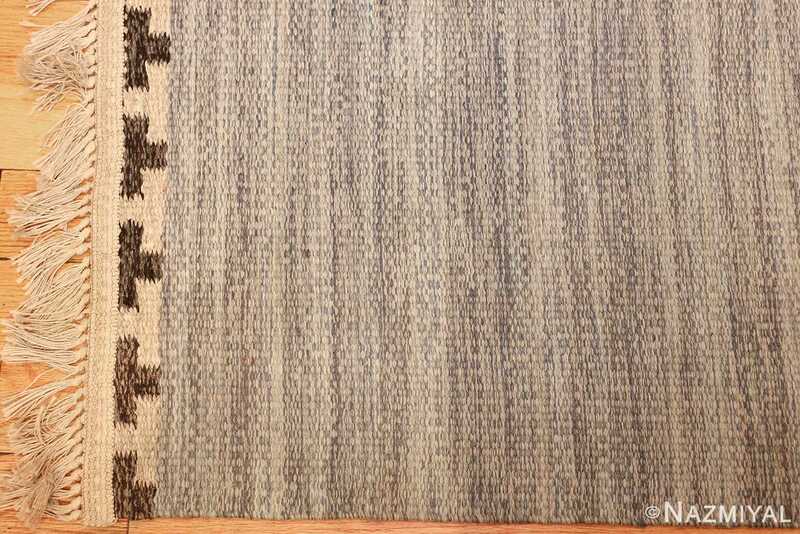 A simple shade of gray defines the majority of the landscape, and the use of gentle horizontal transitions adds further depth to the rest of the Swedish Kilim rug. 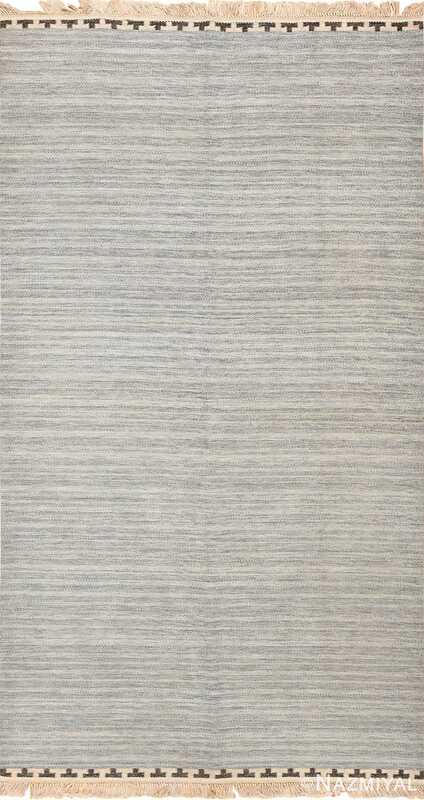 Because of the skillful use of shading, a wave-like effect is achieved, creating a vista not unlike a stormy sea.